Chiropractic care with an end in mind. 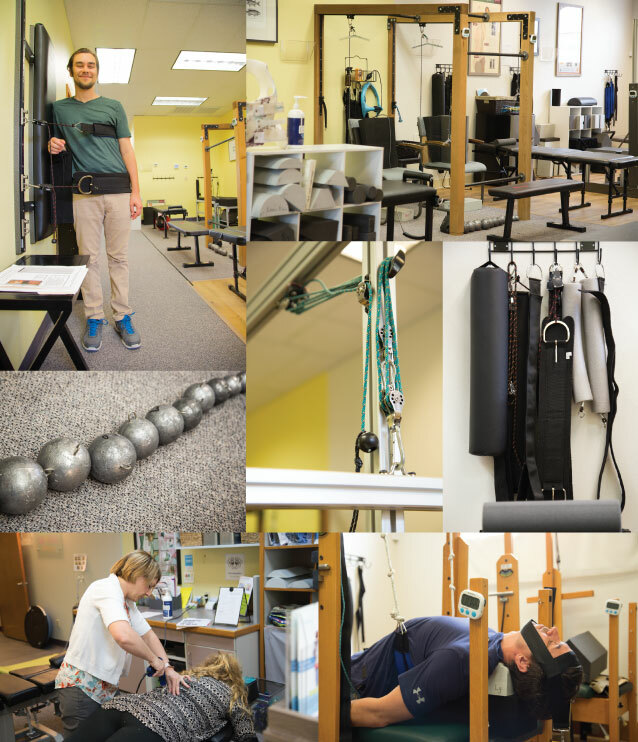 Our phases include Crisis Care, Corrective Care, Maintenance Care, and Lifestyle Care. “I am Dr. Betty Callan and today I am going to tell you a little bit about the phases of care we have in our office. The first phase of care is called Crisis Care, and we want to get you out of pain as quickly as possible. When we get you out of pain our primary focus is to reduce the swelling and inflammation in your body, so that way you can get back to doing the things you love to do in life as quickly as possible. Throughout the course of Crisis Care—Crisis Care can last anywhere from 8 to 18 visits, depending on how much we need to do to get out of pain and make you feel good—we also want to start to play around with finding out what we can do to permanently create fixes in your spine so that way you can strengthen and stabilize it throughout life. So then we can keep you out of pain. So during Crisis Care we play around with things like stretching, we play around with strengthening and stabilizing, and doing what we call light mechanical traction, to see how your body responds to doing movements that are little more aggressive to keep you that way. So we do this to your tolerance to make sure that we’re keeping you out of pain and eventually we want to find things you can do a home so that way you can keep it strengthened and stabilize on your own too. The big picture in our office is we want to have an end in mind, so you can take care of your spinal health on your own. After Crisis Care, then we move into what I call Corrective Care, the Corrective Care program we do need you out of pain for because we want to stretch the muscle properties, we want to stretch those ligament properties. To get permanent changes so that you can permanently keep the pressure off your nervous system. During Corrective Care we ask you to do some homework too. You don’t have to do homework, but we recommended it because we can get changes on whole lot faster. Once we get the correction that were happy with, then we maintain it. It does take a little bit of time to maintain that ligament structure, but it’s like wearing braces for a while and having to wear retainer. The retainer is the homework we give you to do so you know what to do at home to take care of that spinal health. After the maintenance is done, then we move on to what I called Lifestyle Care. Lifestyle Care is pretty standard chiropractic, you get on the adjusting table, we stimulate the nerves, and your body gets to heal and you get a huge wellness boost to keep you healthy and well. And again you just maintain those changes on your own at home with the tools we give you here in the office throughout your Crisis and Corrective Care.